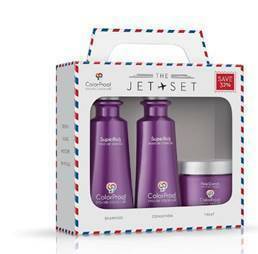  Time to Jet Set with ColorProof! 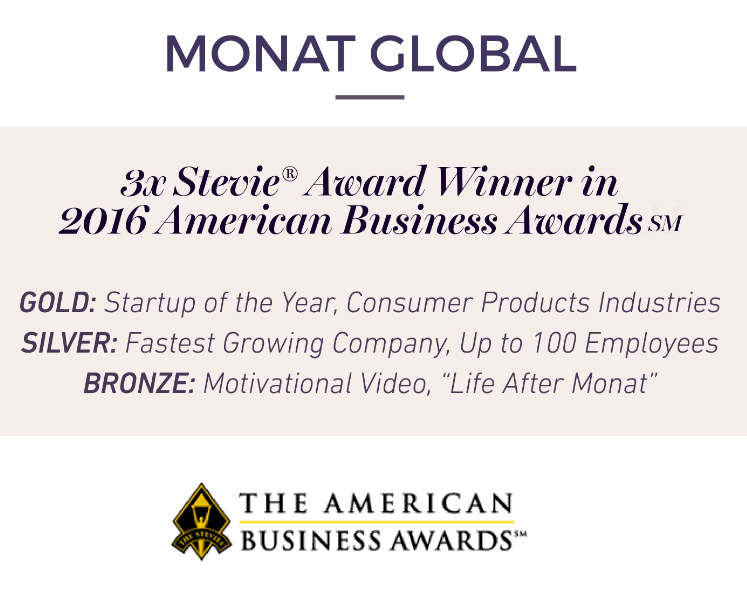  MONAT wins the GOLD Stevie Award! 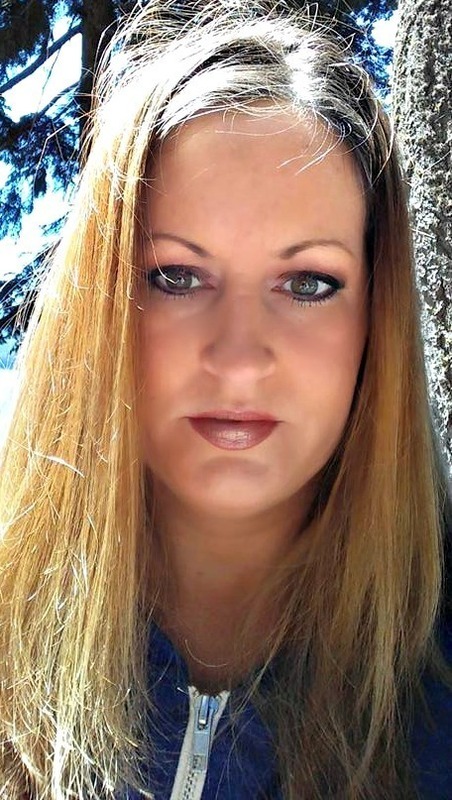 I absolutely love learning about and trying new hair care products. 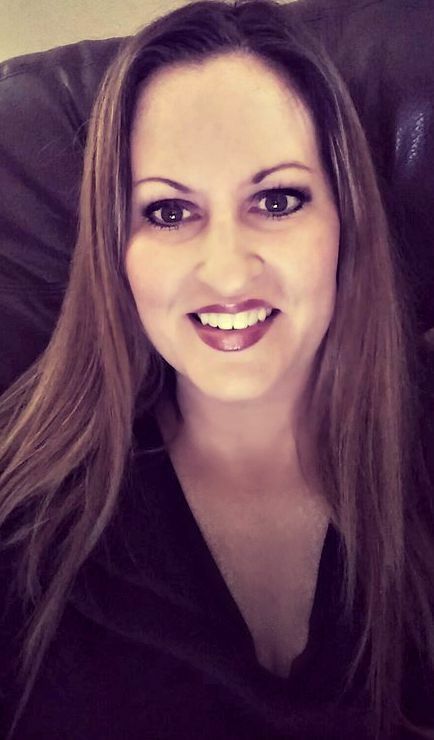 I recently discovered MONAT hair care. Not only is it a superb and high quality hair care line, but MONAT just won the GOLD Stevie Award! 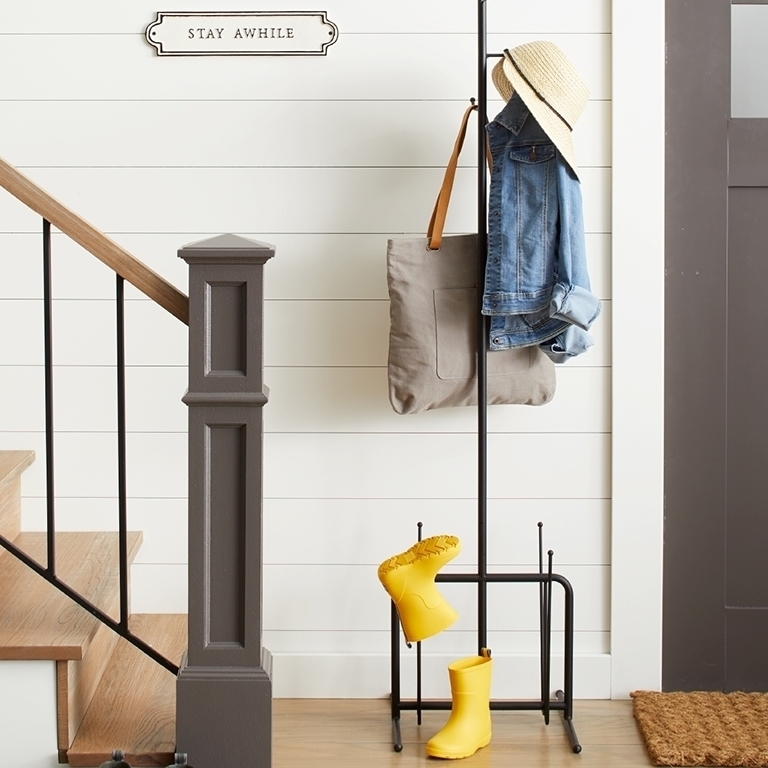 The Stevies are given out annually by the nation’s premier business awards program, the American Business Awards. This year, MONAT stood out among thousands of nominations from organizations of all sizes and industries and, besides GOLD, MONAT also received SILVER and BRONZE awards in the categories Fastest Growing Company of the Year and Motivational Video, respectively. Impressive, huh? 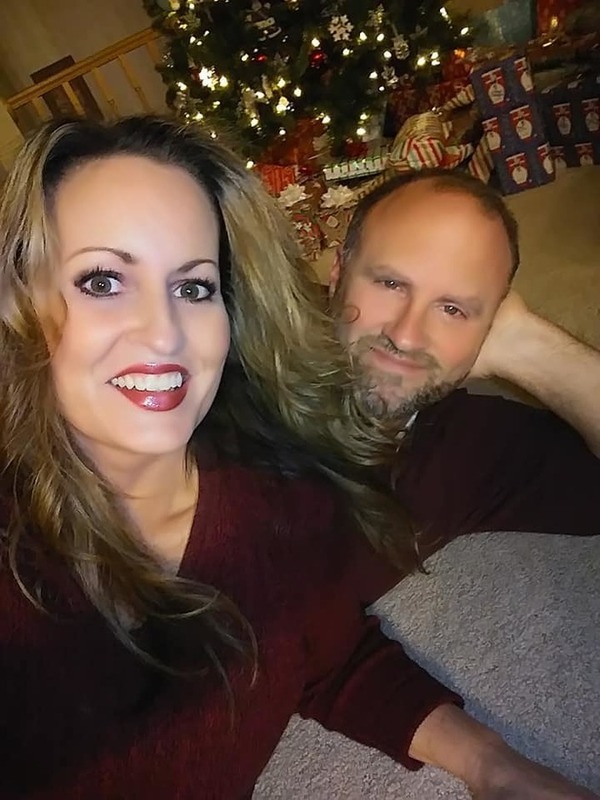 Now I will tell you why I love MONAT hair care. I was sent a set of MONAT's products including their Revive Shampoo, Revitalize Conditioner and Refinish Control Hairspray. These products came in a cute little travel pouch. The Revive shampoo creates a deliciously foamy lather that smells amazing. It leaves my hair feeling perfectly clean. After rinsing the shampoo, I apply the deeply hydrating Revitalizing conditioner, and leave it in my hair for about five minutes (while I shave my legs.) After rinsing, my hair feels like silk. 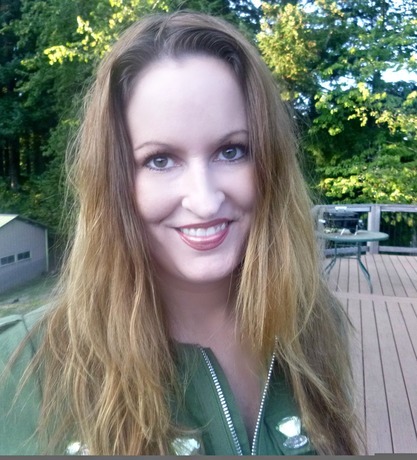 I usually allow my hair to air dry, and when it is completely dry, it is so shiny and soft. 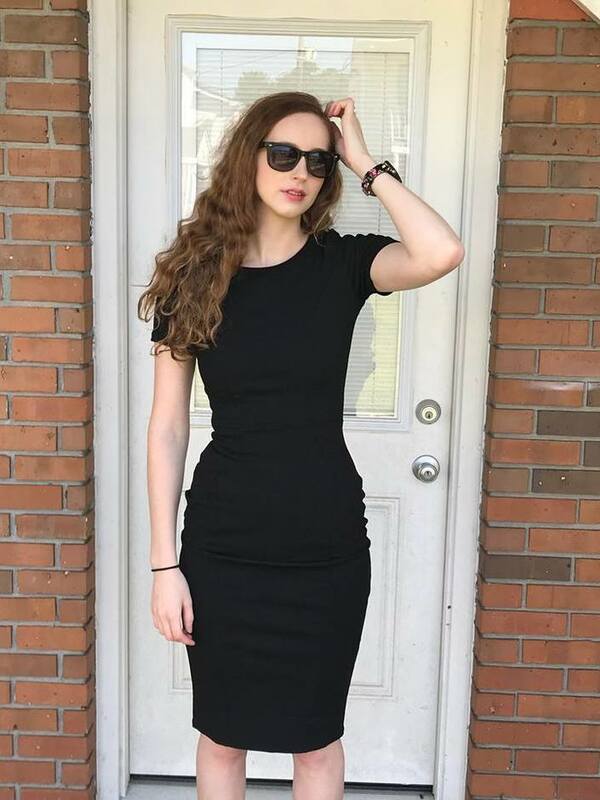 After styling my hair as normal, I spray my hair with the Refinish hairspray, and this hairspray controls my hair and keeps it looking beautiful and touchably soft all day long. Summer may be over, but the weather is still pleasant. Why not go and enjoy a few more sunny days at the beach? I was just at the coast last week and it was gorgeous! It's never too late to restore the shine and moisture back into your hair with a hair masque at the beach! 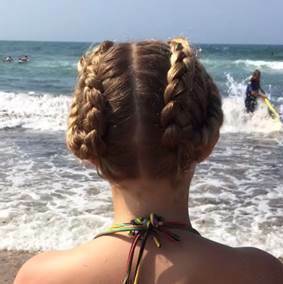 With this braided hairstyle from Butterfly Studio Salon Expert Stylist, Jill Engelsen, you can multitask while enjoying the surf. 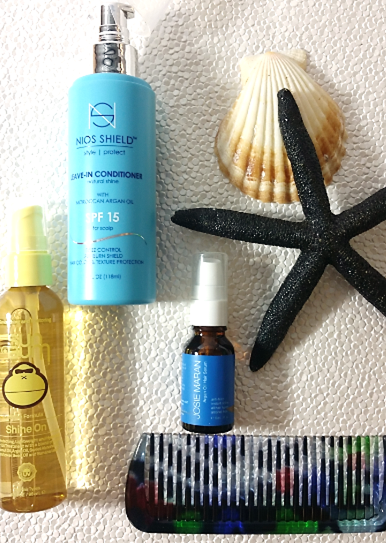 For extra frizz fighting at the beach or pool, apply a masque to towel dried hair. 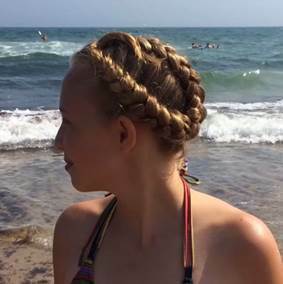 Once applied, divide hair into two sections and braid. Pin up to help the product penetrate and to conceal hair from sun exposure. I love this hair mask! My hair is completely revitalized when I use it. My split ends seem to disappear and my hair has incredible body and bounce. Never has my hair looked so absolutely shiny after I use this amazing oil. I love it! Whether you're traveling to the beach, on a road trip, or to an exotic locale, Surface Bassu Hydrating Oil is your must have travel bag essential. 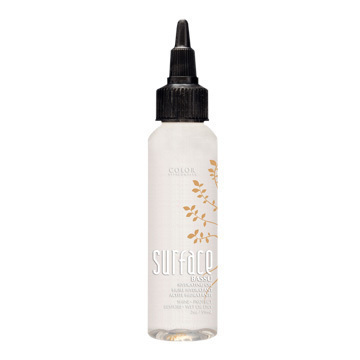 SURFACE Bassu Hydrating Oil is an all-natural miracle treatment for head-to-toe beauty emergencies. Take this gluten-free, 100% Vegan, sulfate-free oil with you to the beach, it eliminates frizz, delivers shiny, healthy hair and protects color. You can also use this oil on your face to heal dry skin, treat summer breakouts and heal cold sores. Even rough, dry heels are no match against the deep-penetrating properties of Bassu Hydrating Oil. Bassu Hydrating Oil’s blend of antioxidants and Babassu oil start working immediately making it the ultimate all-in-one solution for your most common beauty emergencies from head-to-toe. My thoughts: After I shampoo, condition and towel-dry my hair, I apply several drops of Bassu Hydrating Oil to my palms and then rub it between my palms. Next, I flip my hair upside down and start working the product through, adding a few more drops as needed. I allow my hair to air dry, and the results are fabulous. My hair has a beautiful deep sheen to it. 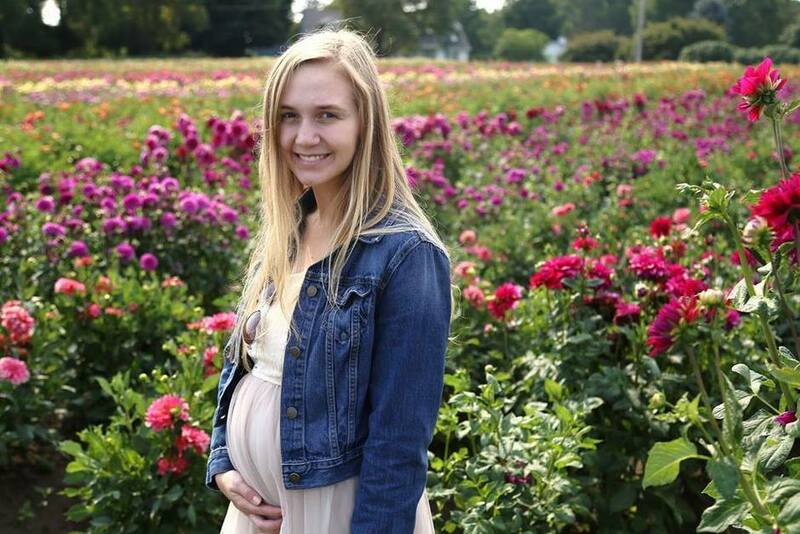 It feels so beautifully soft and looks so healthy and nourished. My split ends seem to vanish. All products are made with organic, gluten-free, sulfate-free, 100 percent vegan protein and paraben-free ingredients. Infused with Color Vita Complex, Vitamins A, C, and E. Surface proves superior hair care can be achieved through natural ingredients, including Surface multi-use hairsprays, which contain sugars and cornstarches that provide resilient humidity-resistant hold, and are anti-frizz and anti-static. Summertime is the time to be outdoors, but swimming and being in the sun can truly make your hair very dry and brittle. My hair was certainly looking haggard recently. I haven't had time to get my hair trimmed, so with haystack dry hair and thousands of split ends, I was in need of some really good and affordable hair care to bring life back into my hair. 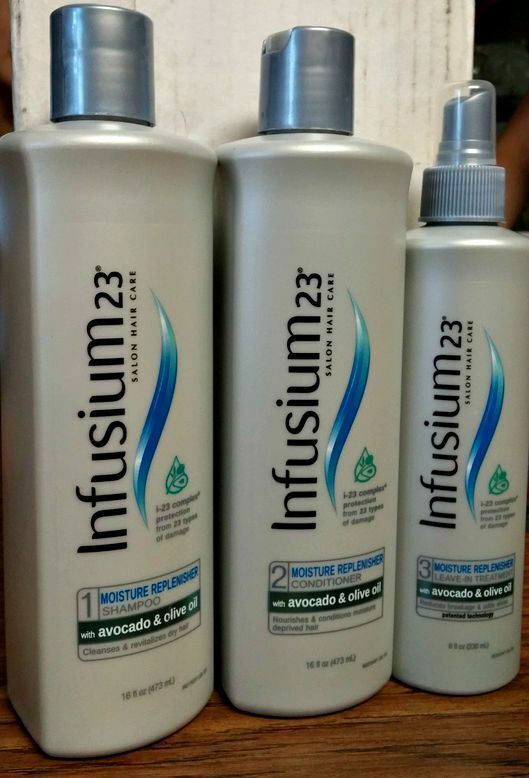 Thankfully, I found Infusium 23 Moisture Replenisher products to come to my rescue. I received samples of the Moisture Replenisher Shampoo, Conditioner, and Leave-In Treatment to review. 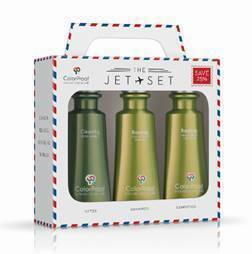 The Moisture Replenisher Shampoo lathers up luxuriously and makes my hair so silky and shiny and full of life. It is enriched with with provitamins, proteins and amino acids, pampers and promotes soft, healthy-looking, manageable hair. It also smells amazing! After I was my hair, I apply the Moisture Replenisher Conditioner. This conditioner is enriched with provitamins, proteins, and amino acids. It restores hair with essential moisture. 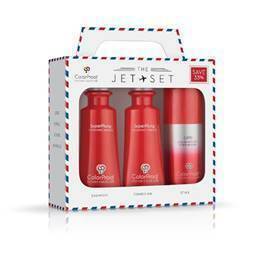 Rinses clean to prevent buildup, while leaving hair soft, shiny, and super manageable. I love how it does not weigh my hair down, yet deeply conditions as well as a hair masque. I leave it in for about five minutes before rinsing. Last, after I towel dry my hair, I flip my hair forward, and thoroughly spray my damp hair with the Moisture Replenisher Leave-In Treatment. Since my hair has been so dry, it needs the extra moisture. 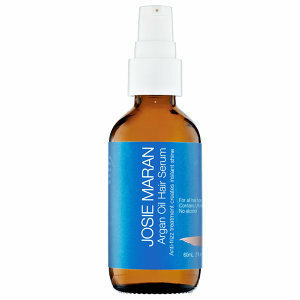 The Moisture Replenisher Leave-In Treatment is enriched with provitamins, proteins, and amino acids. It dramatically recovers hair’s lost moisture, shine, and manageability. 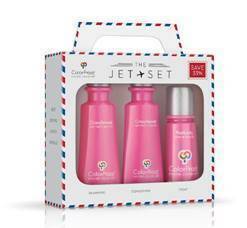 Instantly detangles wet or dry hair. I also use this amazing spray to tame my son's unruly hair when it is sticking up. Plus, I use it between shampoos to refresh my hair. I love it! I love my silky smooth hair! I cannot believe that I can buy Infusium products at the grocery store! They work just as well as the more expensive salon brands.